Call for delicious pizza pickup! After a hard day of work, there is nothing better than ordering some pizza and relaxing in your own home. On those days or any other day, simply call Pizza Mart and let us bring you the food that you're craving. 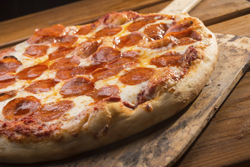 Our family restaurant is here to provide you with the best pizza pickup and pizza delivery service in the Allentown, PA area. Pizza Mart is the family restaurant to go. Whether you want to stop in for a pleasing meal and a fun atmosphere or just come by for a pizza pickup, we're ready to help. The people of Allentown, PA have long turned to Pizza Mart as the best place to get pizza and hot wings, and now they want you to know about their amazing delicacies. Our family restaurant is sure to satisfy your hunger. We are proud to be a popular family restaurant that the residents of Allentown, PA choose again and again. If you are in the area and are looking for a nice night out with the family, come check out our family restaurant and enjoy great food with great company! 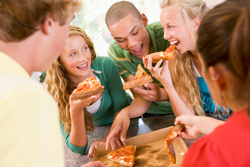 Pizza Mart is a family restaurant proudly offering great pizza, submarine sandwiches, hot wings, and so much more. Check out their menu to see all of the tasty food available to you. You can stop in for a slice of Sicilian pizza with all of your favorite toppings, or stay a while and enjoy steak sandwiches, hamburgers, and other tasty offerings with the family. The options are entirely yours. No matter what you choose, you’re in for a great time in a great atmosphere. Stop by today with your family to enjoy a fantastic meal! We offer tender steak sandwiches. Don’t be fooled by the name! Pizza Mart is far more than just a pizza delivery place. This is a family restaurant offering great service, great food and great pricing. While the kids would most likely eat pizza pickup every night of the week, Pizza Mart has plenty of delicious submarine sandwiches on their menu to keep every family member satisfied. Create your own sandwich with our fresh cold cuts and cheeses. How about Italian food tonight? Check out Pizza Mart's menu to see their savory lasagna and spaghetti offerings. Order a side of garlic bread to go with and throw in some hot wings! Would you rather feast on sandwiches? Pizza Mart has a huge selection of sandwiches for lunch and dinner. From submarine sandwiches and hamburgers to steak sandwiches and hot dogs, Pizza Mart has all the delicious options. Though we are well known for our pizza, you may be quite surprised with our submarine sandwiches. 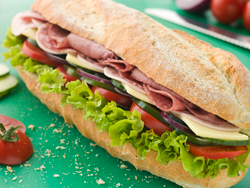 We have a variety of submarine sandwiches made to satisfy your hunger! We hope to see you soon when you are in the Allentown, PA area craving a delicious submarine sandwich! Pizza Mart is a great place to go on game day. It's located only a few blocks from the new Phantoms Arena, so you’ll be able to bring all of your buddies down before or after the game to refuel and get charged up. It’s the perfect way to start or end game night! Is tonight not the best night to go out? Maybe the kids have soccer practice, or perhaps it’s been a long day at work. Luckily, Pizza Mart is here to deliver the pizza and hot wings you need after a long and busy day. All you have to do is check out their takeout and delivery menu, give them a call to arrange for pizza pickup. They’ll have your order hot and ready for you to pick up on your way home from work, school or other event. We all know the go-to for large gatherings, pizza and wings. What's better than getting some pizza and hot wings, kicking back with your friends, and watching the game? When you are ready to try our hot wings, just tack them onto your order and you will be in hot wing heaven! We bring the heat with our hot wings! If you are in Allentown, PA, come give them a shot! If you love pizza and everything that goes with it, you can’t miss our mouthwatering pizza pies, hot wings, steak sandwiches, stromboli, and calzones. Whether you are looking for a new go-to pizza place or want to try something you’ve never have before, we have what it takes to make your day. If you live in Allentown, PA or are visiting the city, visit us to enjoy our delicious pizza, hot wings, calzones, and more. If you're ordering a pizza for the family, consider throwing in an order of hot wings too. Nothing goes better with a fresh, homemade pizza than a spicy order of Buffalo hot wings. Of course, if you can’t make it to the store for pizza pickup, Pizza Mart also offers pizza delivery with a $10 minimum order. This is a great solution if you’re stuck at the office for lunch or if it’s been a long, exhausting day at the house. Just give them a call and let them bring the delicious pizza to you. Pizza Mart is conveniently located in the heart of Allentown, PA. Stop by tonight for sizzling pizza, hot wings, steak sandwiches and so much more. Whatever choice you make, know this: you’re in for a great night with great food from a family restaurant. Check out our Menu and Coupons. 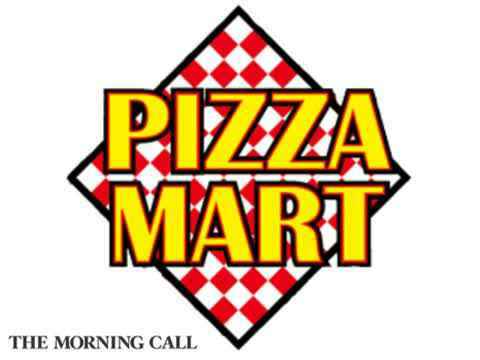 Pizza Mart serves the Allentown, PA area with traditional oven-baked pizzas. You can order pizza pickup and pizza delivery at any time. They are more than just a pizza place--try their steak sandwiches, submarine sandwiches, and more. For adults, try their beer takeout service! Pizza Mart looks forward to serving you delicious American cuisine today.